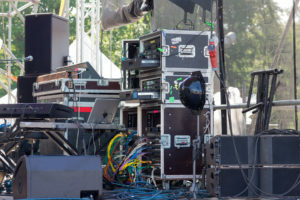 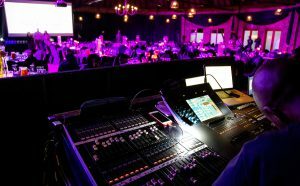 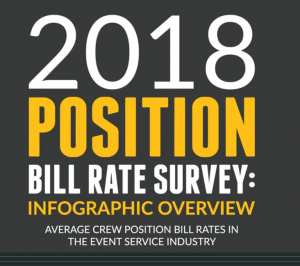 Determining the appropriate pay rates for crew members within live event production is essential for companies in the Event Service industry. 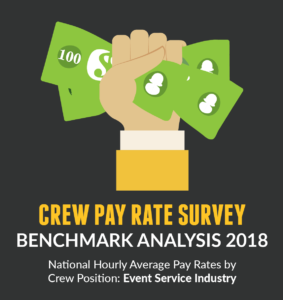 Understanding national average wage ranges across a variety of crew positions assists Event Production professionals in setting benchmarks for their own crew pay rates. 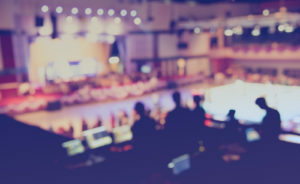 It also enables them to better understand pay trends and determine where their business fits within the current market. 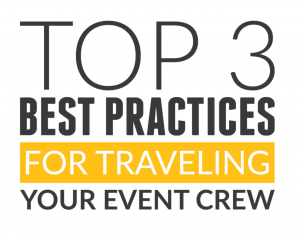 As we all know, it is important to remain competitive when it comes to crew management in order keep quality crew members coming back. 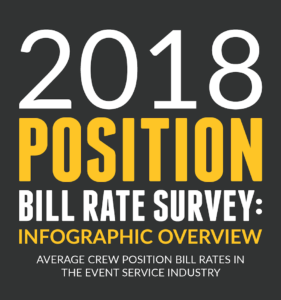 The ability to offer competitive wage rates to your crew is a vital element of this process. 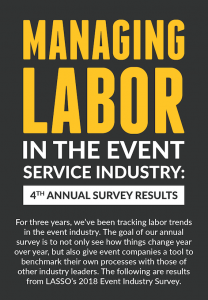 Recently, LASSO launched our Crew Pay Rate Survey: Benchmark Analysis Report that polled senior executives in the Event Service Industry. 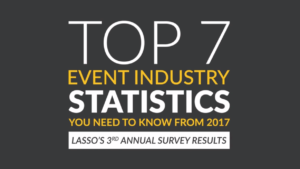 In this infographic, you will find a snapshot of some of these survey results as well as more insight into the research. 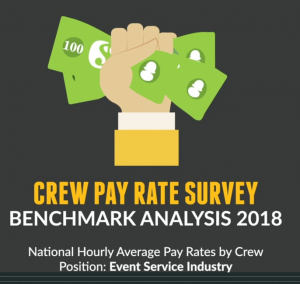 In today’s market, wage surveys go a long way in helping companies meet their goals by providing valuable data and insight in order to make important crew management decisions. 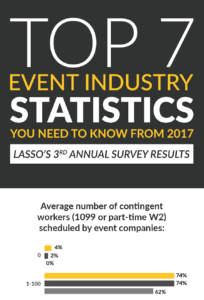 Learn more about how LASSO’s event workforce management software and mobile app helps Event Service companies by contacting LASSO today.